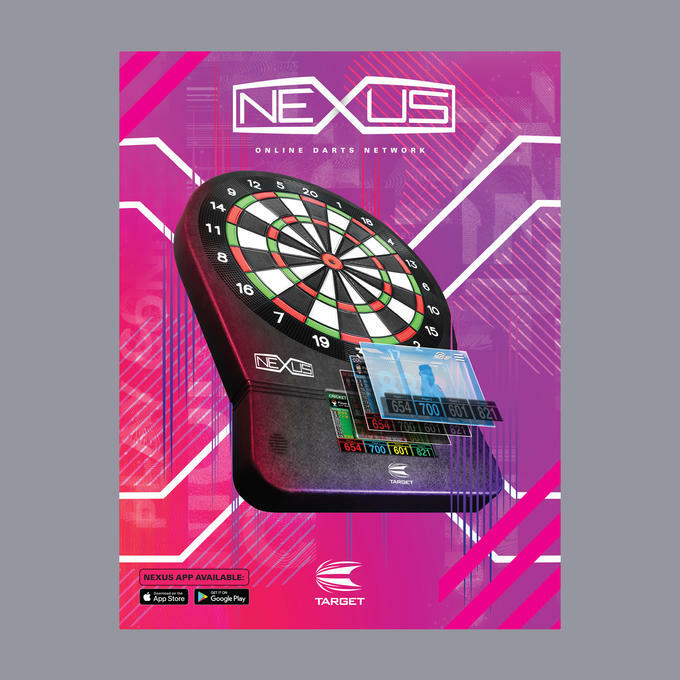 Nexus: Target's revolutionary online network - groundbreaking innovation in soft-tip play. Featuring a built in interactive touch-screen for an easy-to-use experience with consistent play for you and your opponents. 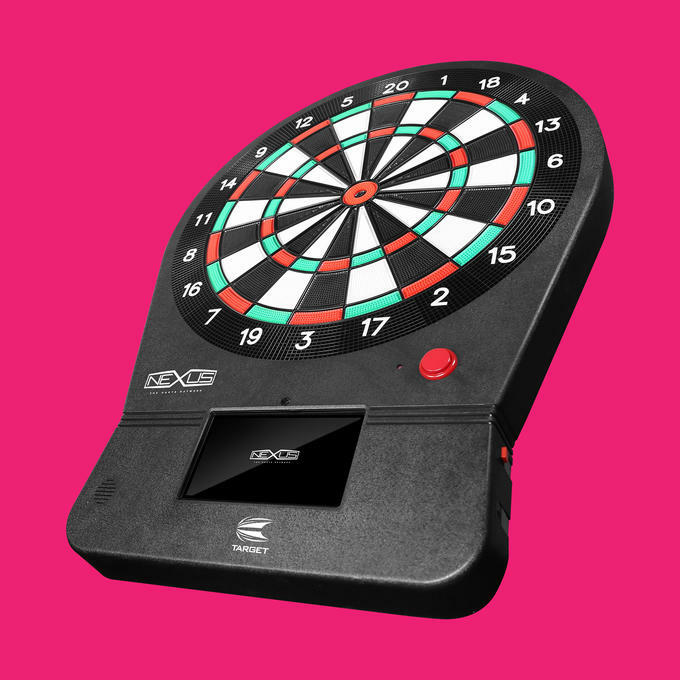 No need to prop up your camera or score board app, Nexus does it all for you in one place. See your opposition using the live camera function which ensures fair play and makes for a more immersive experience. Have the option to talk to your opponent by enabling the in-game microphone. 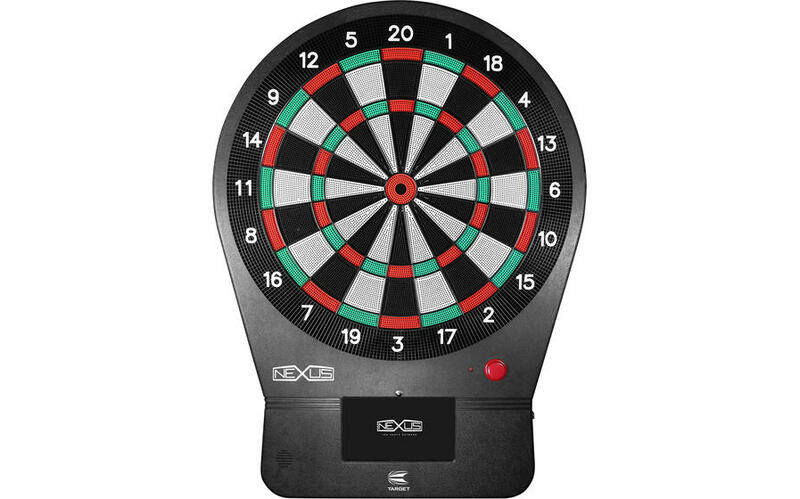 The stunning on-screen graphic visuals and built in camera have been designed to enhance your game and bring the fun of soft-tip darts. Play up to 4 people from anywhere around the world. With Nexus, you can play against anyone who has a board or play games with your friends and team locally. The Nexus App available from Apple and Google stores, enables easy stat tracking and game management. The interactive screen translates into English, German and Japanese. Made from a market tested, robust material with durable segments for a pro-level experience. A Gel Membrane technology helps to reduce noise, making it perfect for home use. With the choice of over 10 games including the famous and ever-popular Cricket, 501 & 301, you can play whatever game suits your format against a network of Nexus users from all around the world.